Gov. Wolf lays out his budget proposal that includes progressive initiatives, while calling for no new taxes. Here is the Playbook. 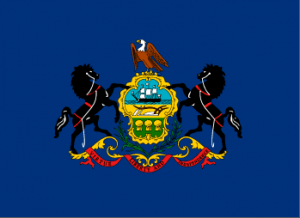 PA Gov: Wolf Budget Address Calls For No New Taxes, While Pushing Progressive Agenda: Gov. Wolf channeled parts of his inaugural address by discussing the work his administration accomplished in the first four years, and sharing optimism for the next four. Pennsylvania Capital-Star: Can doctors and rising suicide rates convince Pa. lawmakers to act on guns? Patriot News: Raising minimum teacher pay to $45,000; Is it an idea whose time has come? Morning Call: On bipartisanship, border security, drug costs: what did Pennsylvania’s lawmakers think of President Trump’s State of the Union address? Ernest Owens: Mayor Kenney, Where Is the Call for Bobby Henon to Step Down? Dan Grossman and Davitt Woodwell: Climate action has to be the major benchmark for environmental progress in Pa. The budget talks were interesting. Good mo.ves with education. Yet, the indebtedness of students is soaring. Student loan debt is impacting new borrowers and affecting home purchases, starting families and participating in economics of society such as car purchases. Minimum wage issue and how the student borrowing burden can be lessened are emerging as considerable issues to ponder as time moves forward.